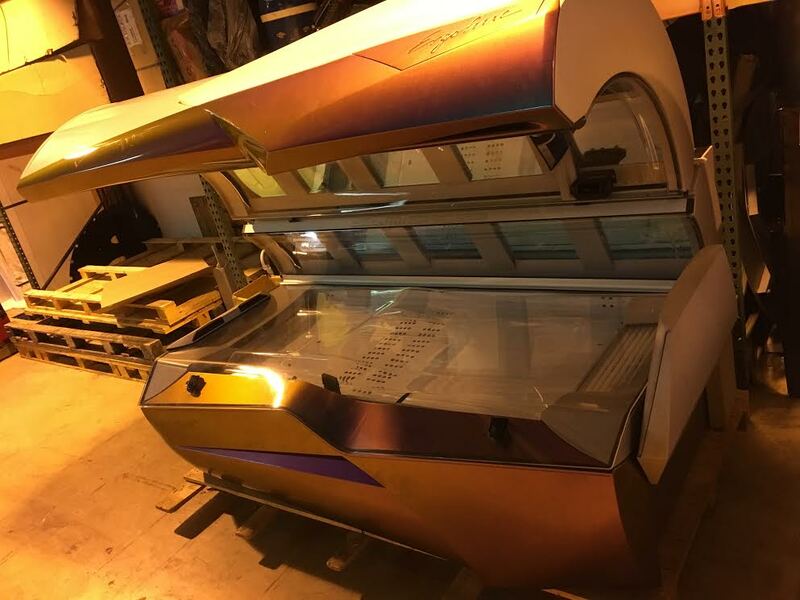 With 20 high pressure UV units in the canopy the Ergoline Excellence 850 provides the ultimate power for an intense and long lasting tan combined with the finest in comfort features in tanning beds. This is your ticket to adding High Pressure to your salon without trading in your first born. The Temptronic climate control system keeps the temperature constant throughout the tanning session utilizing a built in AC unit. The Body Wave light base acrylic, with it’s double bend shape, makes tanning a truly relaxing and comfortable experience in any position. Voice guide, audio, shoulder tanners, and neck tanners round out the features of this snazzy affordable high pressure machine! The model we have used is a 2004 with 2,572 hours.